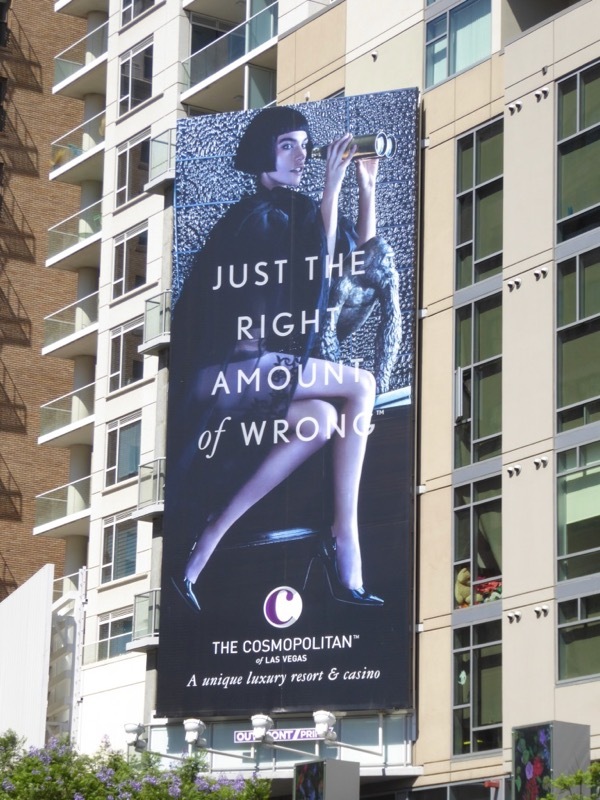 Ever since it debuted at the end of 2010, Daily Billboard has been loving this cheeky campaign for The Cosmopolitan hotel in Las Vegas. Their slogan may be 'Just the right amount of wrong', but it's exactly the right amount of wit and levity to make you smile when you see these fun creatives. 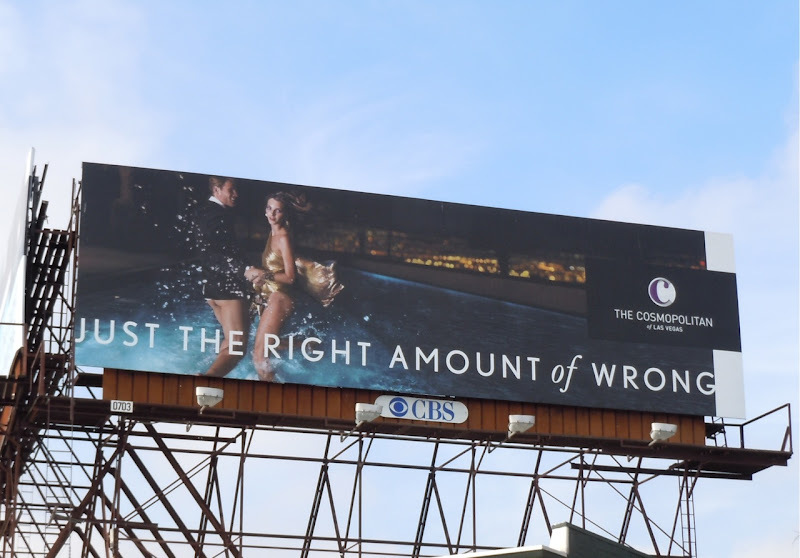 Daily Billboard can't imagine that the hotel really does allow guests, or their staff, to walk around without their trousers though, no matter how pert their buttocks are. 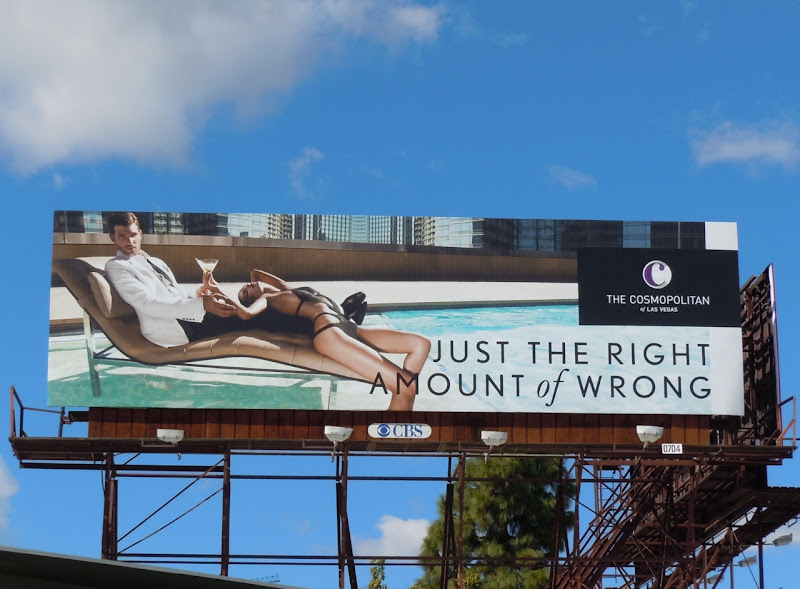 The new hotel on the Las Vegas Strip is obviously looking to attract a certain kind of fun loving clientele with a sense of humour, let's hope their ads don't draw the wrong crowd. 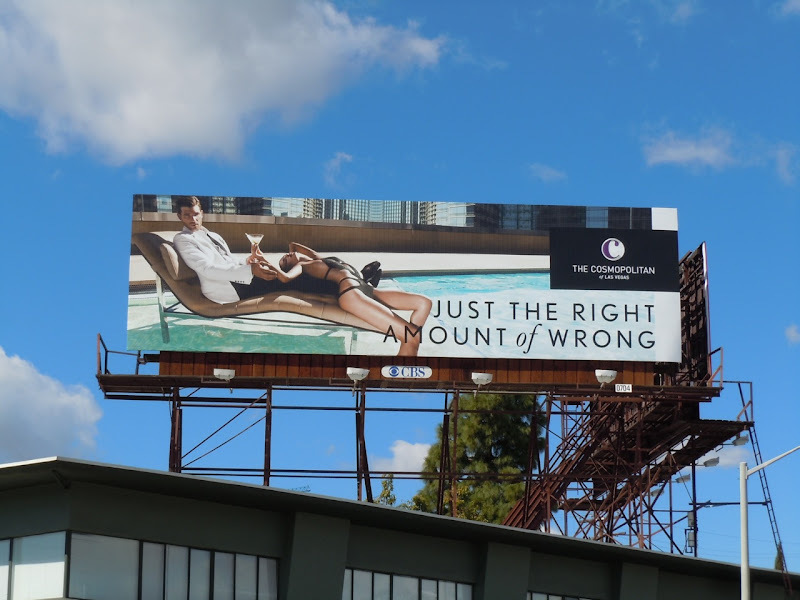 These tongue-in-cheek billboards have been snapped around the streets of L.A. from December 2010 through to March 2011. 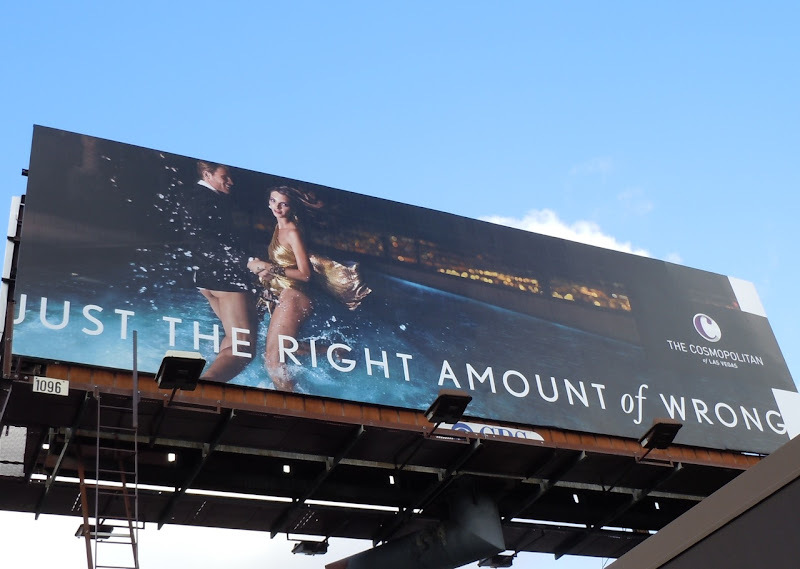 Remember, what happens in Vegas, stays in Vegas. 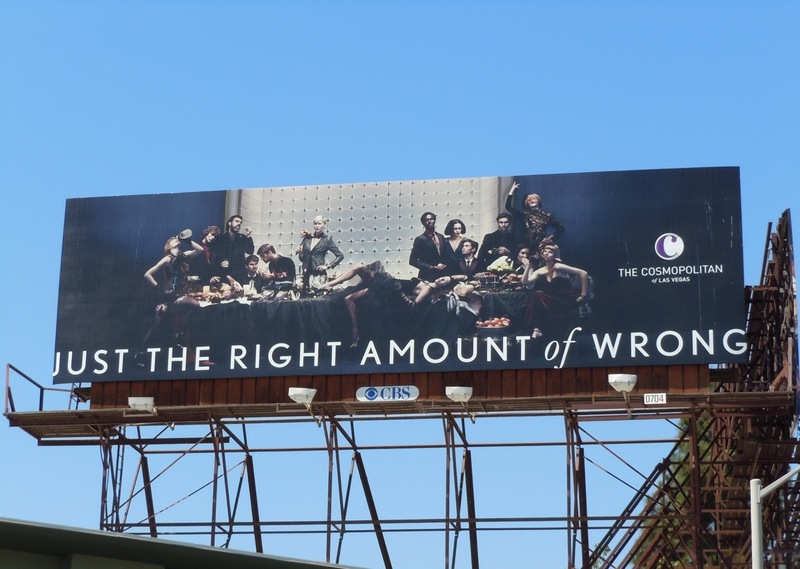 UPDATED: Here's the latest billboard ad for the The Cosmopolitan hotel in Las Vegas snapped along La Cienega Boulevard on September 8, 2011, continuing the stylish indulgence spirit of the initial campaign. 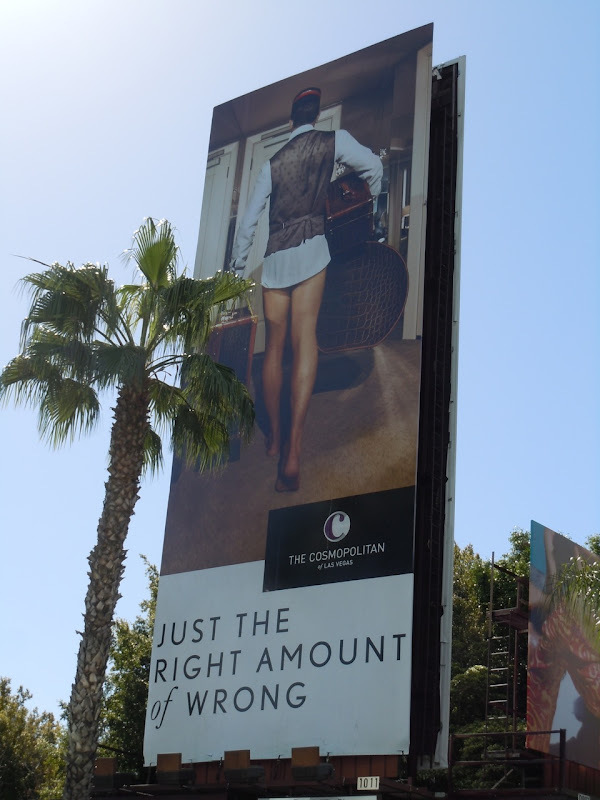 UPDATED: Here's also a new ad creative for The Cosmopolitan, spotted along Hollywood's Vine Street on August 8, 2017.